Kids are home from school, adults typically have time off work and the relatives are in town to spend time with you and help out! Have the younger kids help decorate the tree and wrap presents, while the older family members plan the menu for your holiday meal and go shopping for gifts. Don’t feel like you have to do everything on your own. Your relatives who are in town may even want to spend a bit more time with your aging parent or relative and I’m sure would be happy to take over while you run some errands. Caregiving can be very time consuming, but when the holidays are here you’re required to split up your time with family, friends and caring for your elderly loved one. Do what you can to dedicate as much time as you can to everyone you care for, but don’t feel bad about taking care of your own needs and responsibilities this time of year. 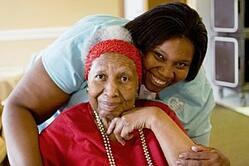 Have family members help out or hire an in-home caregiver to ease some of the stress. It can be very depressing and lonely for older family members who live far away from their loved ones. If you can’t make it there over the holidays, be sure your elderly relative has someone to spend time with. 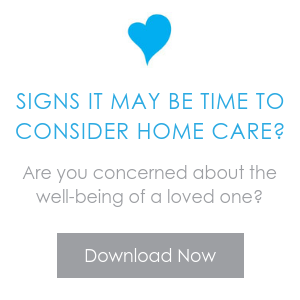 An in-home caregiver could offer a great companion, or get them involved with peers in their community. Also, take advantage of technology and try to video chat with your loved one! Remember what’s most important this time of year. This is supposed to be fun and offer you a chance to spend time with family and friends and those you love. You may have tons to think about and responsibilities to get to after the holidays, but try to live in the moment and enjoy your loved ones company. We hope you and yours have a very healthy and happy holiday season!